The Naturalest Naturalist: Sedges have edges, rushes are round... both are rare! 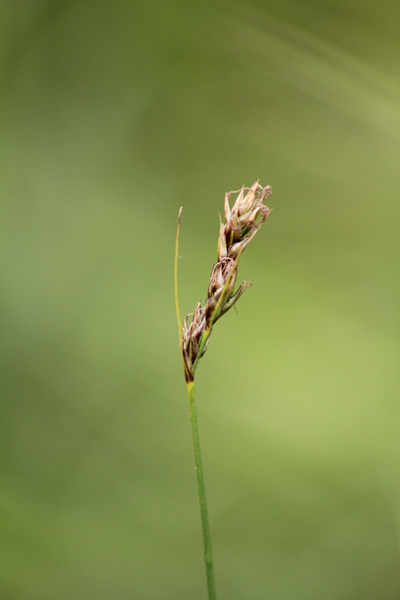 Sedges have edges, rushes are round... both are rare! We're not talking just any old sedges and rushes here. 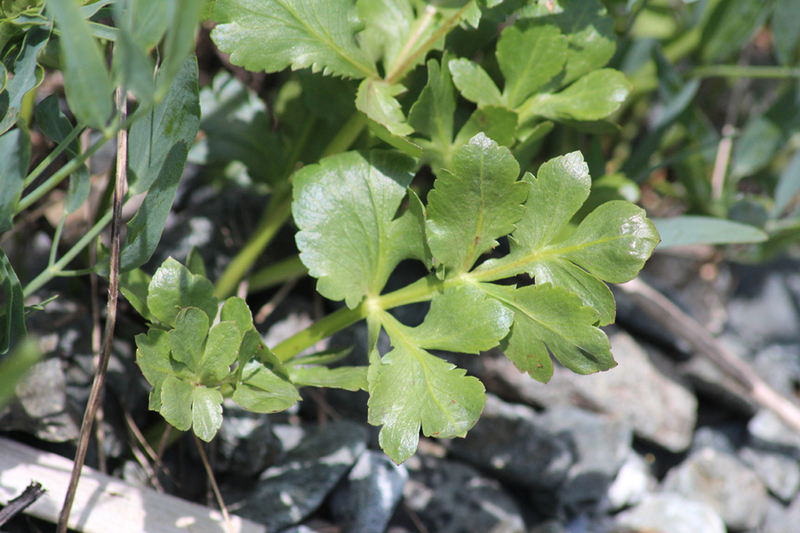 I ventured back to the Garry Oak meadows today near the Victoria waterfront in search of some rather inconspicuous rare plants. 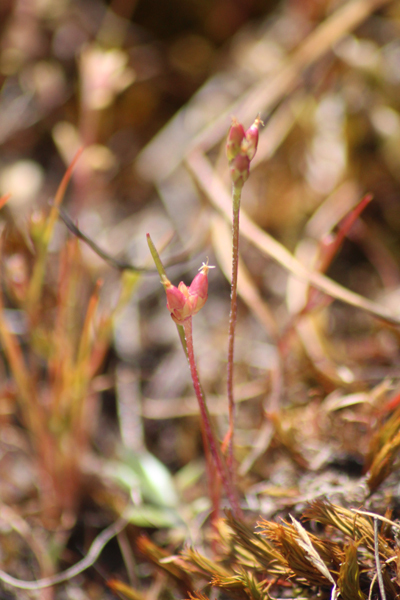 I really didn't even know what exactly I was looking for from a visual standpoint, but I knew Kellogg's Rush (Juncus kelloggii) and Foothill Sedge (Carex tumulicola) were there to be found. I even called up Jamie Fenneman to get some descriptions - one of these days I'll join the smartphone era and look up information for myself while out in the field. Regardless, the descriptions seemed to work because I found both of my targets. 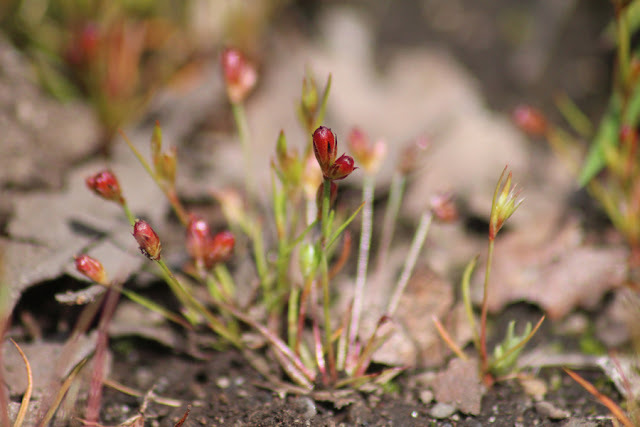 I also knew Heterocodon (Heterocodon rariflorum) and Tall Woolly-heads (Psilocarphus elatior) could be found in the park, and Jamie also mentioned that I should keep an eye out for Muhlenberg's Centaury (Centaurium muehlenbergii). 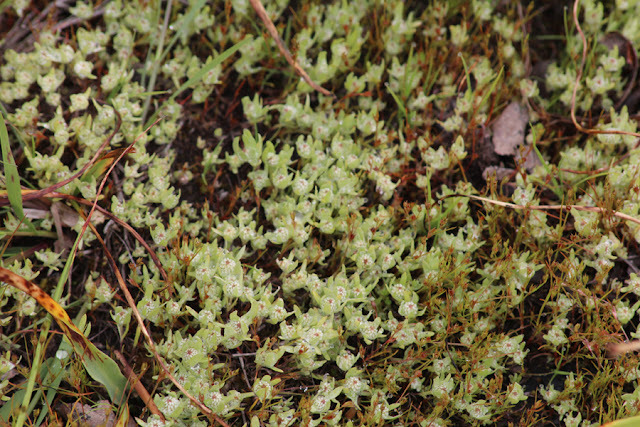 A section of wet meadow with vernal pools (now dry) hosts several plants that are rare in Canada, so I focused my search in this area. Kellogg's Rush looks quite inconsequential - it is tiny and was a bit of a needle in a haystack set within a carpet of Toad Rush (Juncus bufonius). 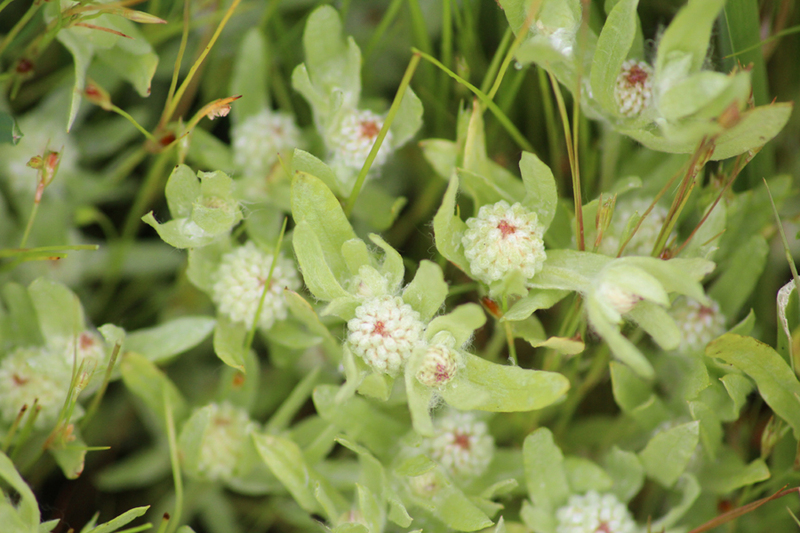 After an extensive scan, I eventually found an area with some small plants that appeared to be something other than Toad Rush. I took some photos of these plants in hopes they might be the holy grail. 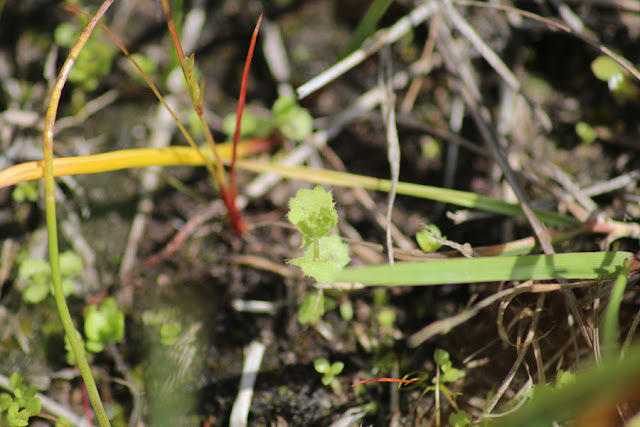 I was briefly worried that I was confusing Kellogg's Rush with Slender Plantain (Plantago elongata), which grows in the same area and has a vaguely similar appearance. There were some noticeable differences, but it certainly added an extra level of complexity to my search. For reference, this is what Slender Plantain looks like once it is in fruit. I wouldn't know the results until I got home and referenced E-Flora, which is a fantastic online provincial reference (http://www.geog.ubc.ca/biodiversity/eflora/). The photos on E-Flora revealed my rush is a dead ringer for Kellogg's Rush! My search for Foothill Sedge was less directed. I didn't know what habitat to look for it, so I just based my search on sedges and looked for features Jamie had informed me were diagnostic. I eventually found one that I thought fit the bill. Once again, a look on E-Flora confirmed I had nailed it. Near the Kellogg's Rush, I did manage to come across one Heterocodon. Unfortunately it is still a little early for this species, so I was looking at a just a couple leaves. I'm really not selling the excitement of rare plants here! The Tall Woolly-heads were no problem to find. They are quite obvious and create a silvery-green carpet in some of the wet depressions. 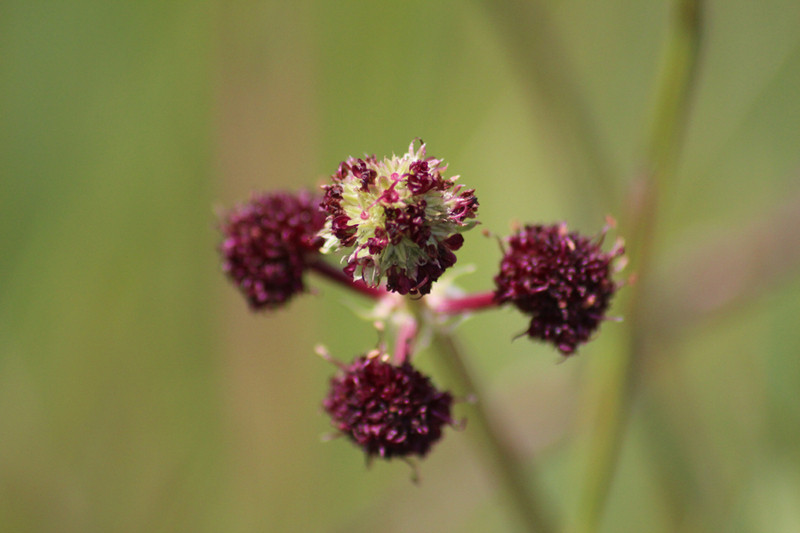 Along the waterfront, I checked in on Purple Sanicle (Sanicula bipinnatifida), which is another rare plant. 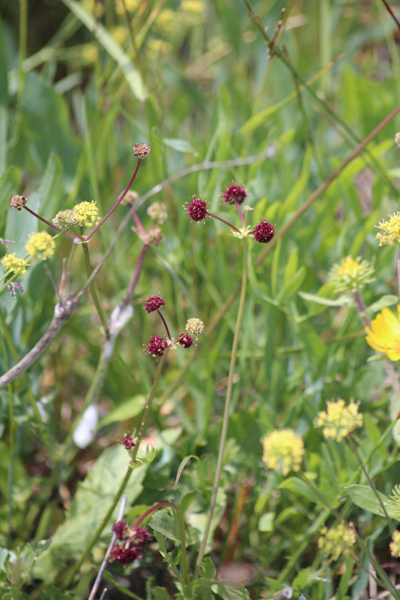 We really live in an area that is rich in rare plants, some of which would be scarce in British Columbia and Canada regardless of development. Others have dwindled due to the extensive loss of habitat. Purple Sanicle is quite rare, and most populations are limited to just a handful of plants. This species can be inconspicuous until its purple flowers come out. The leaves are diagnostic, but they don't stand out unless you're looking for them. 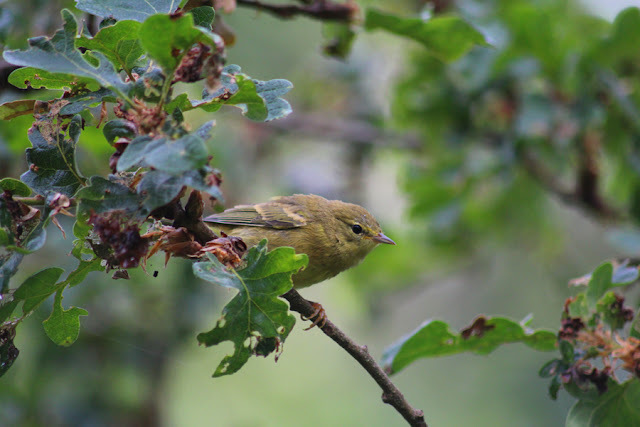 Just to make sure this entry doesn't alienate those that prefer animals, I'll add a shot of an Orange-crowned Warbler from Christmas Hill earlier in the morning. There's lots to see out there right, rare or not, so get out and enjoy the sights and sounds of your favourite local haunt!